Tip Tops’ Customer Service Professionals Are Here to Help! At Tip Tops we are proud to offer not only quality designs, but quality professional customer service. If you are unsure of how to execute your next embroidery or screen-printing project, contact one of our customer service professionals to get your project on the right track. Whether you have a brilliant design idea and you don’t know the best way to implement it or you need help discovering your new design, don’t hesitate to contact Tip Tops for professional assistance. We are happy to take your call and help you determine the next step in making your t-shirt or promotional item dream come true. It is our goal to help you get the idea from your head to the printing press as soon as possible. Contact your resource for Florida screen-printing and promotional products to get the design ball rolling today. 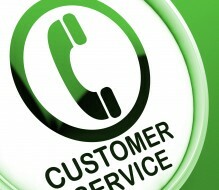 Our customer service professionals look forward to hearing from you and helping you implement your design ideas faster!